This article is about the guest star. For the character, see Barry White (character). 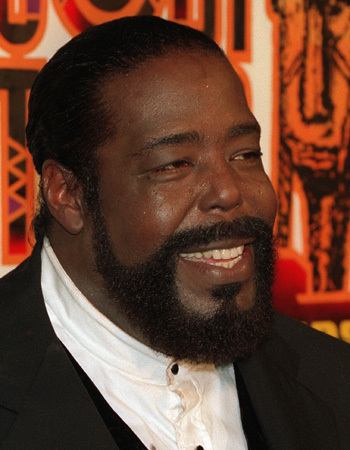 Barry White (born Barry Eugene Carter; September 12, 1944 – July 4, 2003) was an American composer and singer-songwriter, best known for his song "Can't Get Enough of Your Love, Babe". He voiced himself in the season 4 episodes "Whacking Day" and "Krusty Gets Kancelled" and "Can't Get Enough of Your Love, Babe" was used near the end of the season 5 episode "The Last Temptation of Homer". Modified on September 12, 2014, at 10:25.